Phase 2 is considerably taller... Frome the website: Construction is expected to commence during 2017. Phase II includes 170 high end apartments in an elegant 28 storey tower. 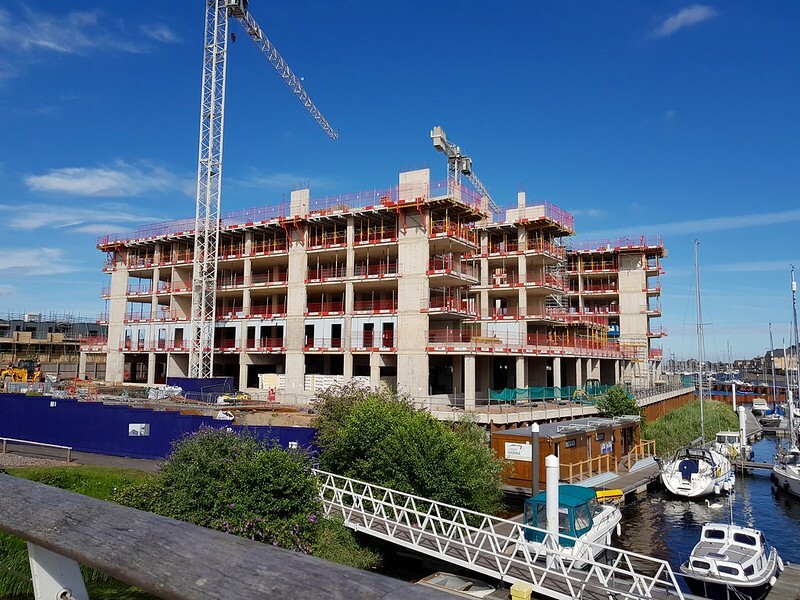 The second phase will also include: further commercial units, the completion of a public square, concierge and a business lounge as well as 150 new car parking spaces to serve Cardiff Marina. It's getting there isn't it? There's some sort of portacabin thing going in across the road (next to those town houses) looks like it's being done quite nicely so I'm guessing it's the sales centre. 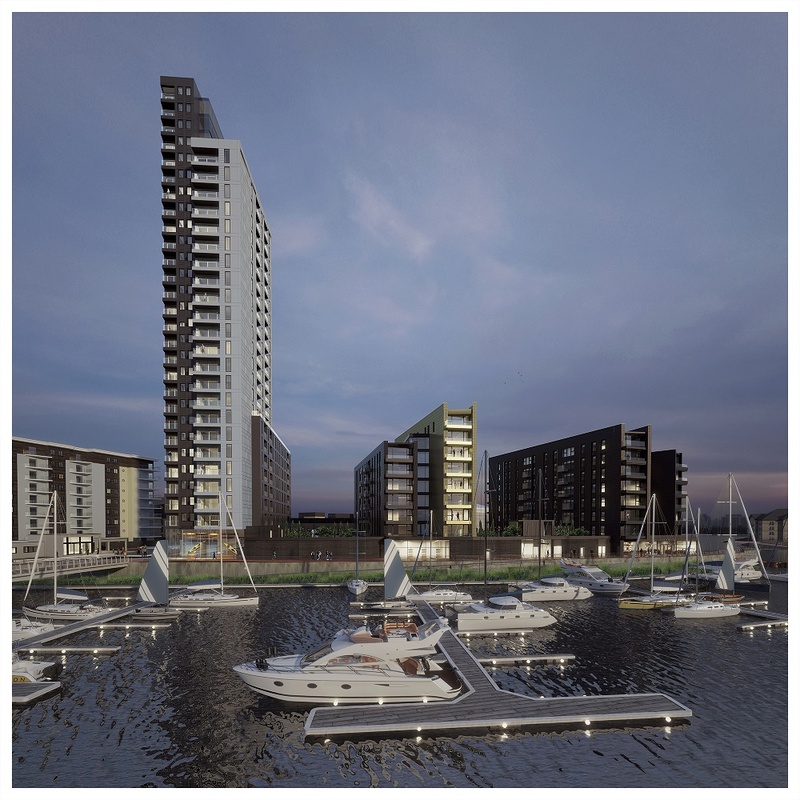 I'll be interested to see how these sell, there's no real competion for new build flats in the bay right now so hopefully they'll go fast and that'll prompt a start on Phase 2. 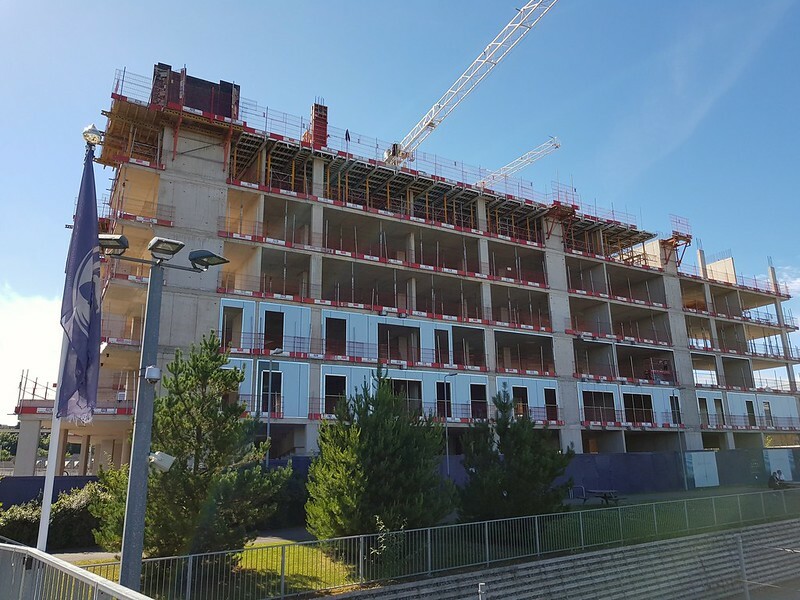 Lets hope interest and more importantly sales are going well and then maybe we can look forward to phase 2 getting underway soon? I'd be very curious how sales are going, prices seem pretty ambitious to me. I'm passing reasonably regularly so when things are a little further a long I'll be cheeky are nip in the marketing suite. Prices are very ambitious. I would've bought one, but they're easily £20-£30k overpriced. Only 8 of Cardiff’s 29 wards have shown a rise but in Penarth the situation is very different. All 5 wards in Penarth have experienced price rises with Sully and Dinas Powis also performing strongly. Although Bayscape is in Cardiff, Pont-y-Werin and the Cogan link mean that getting to Penarth is easier than accessing Cardiff. For all intents and purposes Bayscape is in Penarth. I consider Victoria Wharf to be in the same category and prices there are holding up quite well. 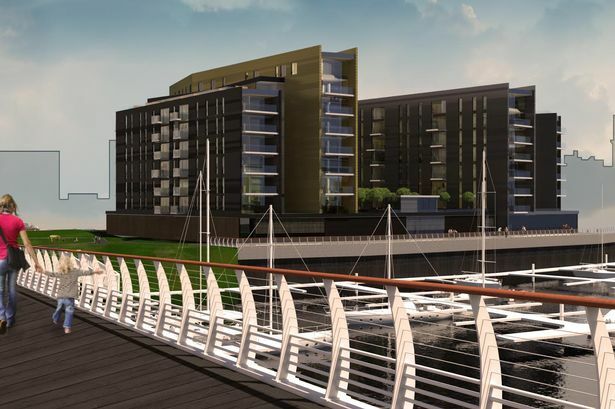 Even if the homes appear to be overpriced right now I can see very little reason for them not to perform as strongly as homes in Penarth marina in the years to come. Last edited by Mr Blue Sky on Wed Oct 25, 2017 11:20 pm, edited 1 time in total. Only 7 of Cardiff’s 29 wards have shown a rise but in Penarth the situation is very different. All 5 wards in Penarth have experienced price rises with Sully and Dinas Powis also performing strongly. Although Bayscape is in Cardiff, Pont-y-Werin and the Cogan link mean that getting to Penarth is easier than accessing Cardiff. For all intents and purposes Bayscape is in Penarth. I consider Victoria Wharf to be in the same category and prices there are holding up quite well. Thats actually really interesting, I had a look on Google Earth and didnt realise how perfectly Cardiff has formed around its eastern border, meaning light traffic going towards Penarth. Well it is part of Cardiff’s urban area, the conurbation. But the point I was making is that while Canton, for example, has seen its homes decline in value (when adjusted for inflation) a quite similar area, the Cornerswell ward in Penarth (which is still quite working class and includes Cogan and quite a bit of council housing) has had a significant price rise. Home values in Cornerswell are marginally lower than in Canton but they have closed the gap considerably over the last ten years. The only similar ward in Cardiff that has experienced a price rise is Gabalfa, which is a special case as it is sandwiched between the UHW and Cardiff Uni.